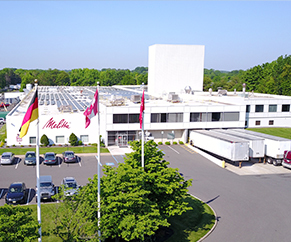 Headquartered in Clearwater, Florida, Melitta North America is part of the privately held Melitta Group of Minden, Germany. Melitta North America is comprised of Melitta USA and Melitta Canada. Melitta USA—a division of Melitta North America—is responsible for the sales and marketing of Melitta coffee filters, coffee and pour-over coffee brewing systems in the US. This distribution is to all retail channels in the US, Mexico, Central America and the Caribbean. Melitta Canada—a division of Melitta North America—is responsible for the sales and marketing of Melitta coffee filters, coffee and pour-over coffee brewing systems in Canada. This distribution is to all retail channels across Canada. Melitta North America’s manufacturing operations are geographically dispersed. Our coffee roaster is in Cherry Hill, New Jersey. We have been roasting coffee in this location for more than 50 years. Melitta coffee filters are manufactured in Clearwater, Florida. Melitta electrics and accessories are manufactured, marketed and distributed under a licensing agreement. Special emphasis is on the North American market where the company aggressively seeks to build brand share in all markets for all premium products, but especially coffee through the introduction of a broad portfolio of new products, strong action marketing, targeted sales programs and the licensing of the Melitta trademark. Melitta North America is continuing its growth in its B2B segment. Various investments in infrastructure have therefore been made, such as a new coffee roaster. The B2C segment is another major focus area, as we expand the development of a pour-over brewing system for in-home use. The new product range was unveiled at the International Housewares Show in 2017 and continues to grow. The new range includes a Signature Series of Pour Overs built with a contemporary stylish appeal as well as new features for the perfect brew in home. The Heritage series is a set of Porcelain Pour Overs reminiscent of the original Melitta vintage version from the 1960’s. Learn more at pourover.com. Melitta North America focused on sustainability activities developed over the past few years. We are working closely with our global team as we roll out a new global sustainability report and platform in 2018. This will cover all pillars of sustainability, especially in the field of packaging, electricity, waste, and product innovations. At the same time, many new projects were initiated, specifically in North America. These include new coffee roasters and the installation of a solar energy system. 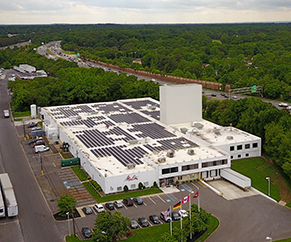 Melitta North America was the first Melitta division to install a solar energy roof system that will allow energy savings as well as a reduction of GHG emissions. In Canada, fully compostable coffee pods for single-serve machines were launched in 2016. Worldwide, the Melitta Group manufactures and markets a wide variety of consumer products including foils and wraps, air cleaners and humidifiers, vacuum bags and cleaning products, and, of course, under the Melitta brand name, the full range of coffee preparation products for which the company is best known.